When your client is investing hundreds of pounds in your retail and point of sale displays systems, you need magnets that won’t let you down. We’ve developed this range of magnets, specifically with elegance, simplicity and speed of application in mind. 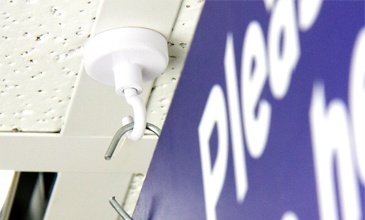 Magnetic hooks with a discreet painted finish can hang heavy overhead signs without being obtrusive. Alternatively, strong circular or rectangular neodymium magnets can be used within modular systems and window displays and flexible magnetic tape can be applied to graphics so they can be changed swiftly and easily. Each magnet in this range has been designed to get the maximum performance from the most compact size.